Home security is big business. That’s because a burglary takes place once every 15 seconds in the United States. If a burglar does enter your home, you can bet that he’s going to take off with some of your most valuable belongings. 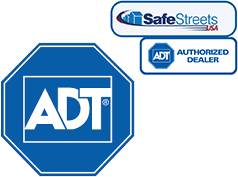 A home security system can help you protect your home, your belongings, and your family. The question is, which home security system should you purchase? Some systems, like SimpliSafe, are more popular and recognizable than others, but that doesn’t necessarily mean they’re a better choice for your family. Augustus R. Pope is credited with creating the first security alarm. It was patented in 1853 and utilized magnetic contacts that would sound an alarm if broken. However, home security has been a concern for as long as humans have had homes, which means more rudimentary systems were used thousands of years ago. For example, castles in medieval England had guards and moats to protect against intruders. As home security systems became more effective and more affordable in the 1980s, it wasn’t just the wealthy that were able to utilize these systems. Technology has only improved since then, which means most systems don’t require traditional wires and additional features, like home monitoring, are available with many systems. Because home security has been such an important concern for such a long time, the home security market is crowded with dozens of choices, and most people only ever view one or two of the most popular options. One big name in home protection is SimpliSafe. They definitely have a lot to offer in the way of home security. Their equipment is easy to install because it is wireless, they offer a 60-day money back guarantee, and the equipment can be packed up and re-installed anywhere you might move. They’re also extremely affordable with professional monitoring that costs just $14.99 a month. Some of SimpliSafe’s popularity can be attributed to the accolades they have received from big names like The New York Times, Fox News, and NBC. But, if you dig a little deeper, you’ll discover that SimpliSafe may not be the best option after all. SimpliSafe may have affordable monthly plans, but you must purchase the equipment. Just 5 pieces of equipment will set you back $229.96. With 16 pieces of equipment, you’ll pay over $500. This is a real bummer because their equipment isn’t very professional looking. As a matter of fact, you can expect it to yellow over time. They do not offer home automation services, and they do not offer cameras, which are vital components to many modern home security systems. Don’t settle for the first security system that pops up in the search engine. Take the time to compare multiple systems to find the one that’s right for you. Vivint is also a good option. It’s literally the most comprehensive system on the market. You can monitor the energy efficiency of your home and you’ll enjoy a lifetime equipment warranty on normal wear and tear. What about Protect America? They literally have no equipment fees or installation fees. There are other cool monitoring items that can be added to your plan, like a medical alert pendant, GPS vehicle tracker, and driveway sensors. You can even try their system for free for seven days! Is SimpliSafe a bad system? Absolutely not! It might be exactly what you’re looking for, but you’ll only know for sure if you spend time doing a little outside homework by comparing different providers and plans. Want to learn more about the very best systems on the market? Make sure you check out our reviews. You can learn about SimpliSafe, Vivint, Protect America, and more.